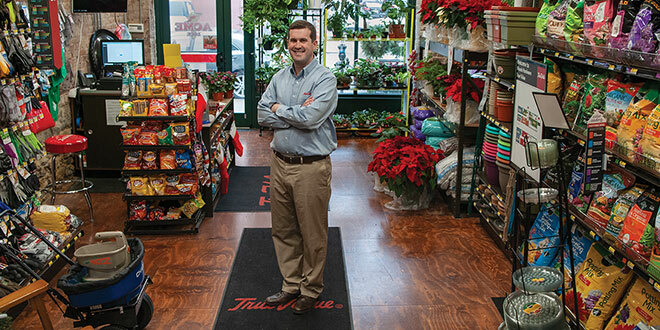 Matt Woods, president and CEO of family business Woods Hardware, says his favorite part of being an independent retailer is being able to decide what’s best for his company. As he stood on stage at the 2018 National Hardware Show in Las Vegas, Woods says that even after his name was called, it took a moment before he realized his business had won. Reality sunk in, and Woods began sorting through what his business would have to do to make his idea of a virtual e-commerce walk-through a viable addition to his business. His goal was to bring customers within his Cincinnati service area an entirely new way to shop. In February 2017, one of Woods’ friends showed him a demo of a project his company had been working on. It was a virtual touring program, which allowed real estate agents and homeowners to virtually map homes for sale to provide a lifelike walk-through of properties on the market to prospective buyers. Woods was instantly intrigued by the idea, but wondered if the touring technology could be used alongside e-commerce applications to bring new opportunities to his business. Woods envisioned a virtual walk-through of his business’s downtown Cincinnati location, which would allow customers to view online replicas of his store’s aisles and inventory and grab items to purchase online. Woods applied to the first Reimagine Retail program, but says he and his team hadn’t quite perfected their 30-second elevator pitch. Woods perfected his plan for the virtual walk-through by adding a free same-day delivery component to the virtual walk-through. 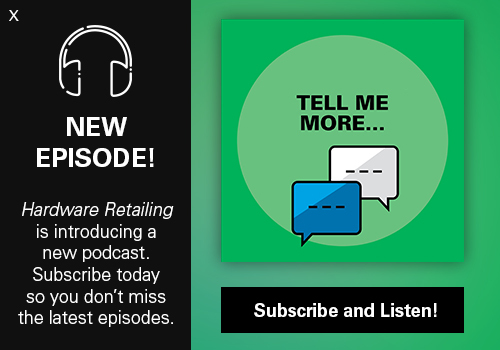 As he applied for the 2018 Reimagine Retail cycle, he framed his pitch around the word on the tip of every retailer’s tongue. His strategy paid off—to the tune of $100,000. 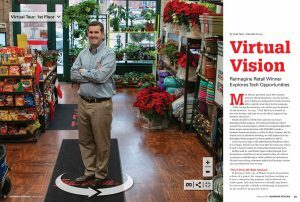 With the second Reimagine Retail program’s prize in his pocket, Woods returned to Cincinnati to make the business’s vision a reality. 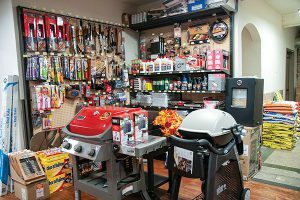 At Woods Hardware, customers can browse a full assortment of hardware and home improvement staples, alongside paint, live plants, grills and cleaning supplies. 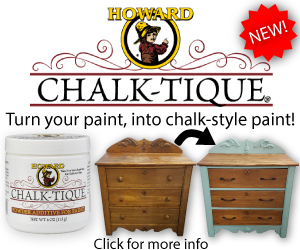 Now, customers can browse and buy items from the assortment using the virtual tour. Woods says finding time to devote to getting the project off the ground while still overseeing six busy retail operations was sometimes difficult. Woods says one of the first orders of business was to connect with the third-party IT provider that would build the business’s new website and incorporate e-commerce functionality into the virtual touring platform. To accommodate real-time inventory updates across the business, Woods also invested in new POS systems. To ensure associates were familiar with the new systems and that the store’s inventory is accurately displayed online, Woods says the store manager of his downtown Cincinnati location worked closely to train employees on the new machines. Although Woods’ idea of interactive e-commerce required major technological somersaults, combining it with on-the-ground, same-day delivery provided its own set of logistical obstacles. Namely, Woods had to find drivers to bring the online orders directly to customers within one business day. Woods plans to use store staff for deliveries and eventually hire full-time drivers. He expects to make some of the initial same-day deliveries himself to see that side of the project firsthand and ensure his business is providing seamless service from its online interface to its on-site delivery. By the end of December, Woods and his team had created a workable demo of the business improvement project for internal testing. By mid-February, Woods will open the program up for a small collection of customers to work out final bugs before the project officially launched to the public in March. 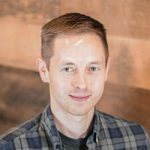 Woods thinks DIYers will benefit from the virtual e-commerce and rapid delivery service his company is innovating, but it also provides many advantages to busy pro customers. 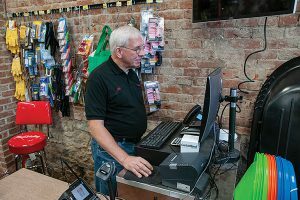 At Woods Hardware’s downtown Cincinnati location, employees have benefited from extra training on new POS systems to facilitate the company’s new e-commerce opportunities. According to Woods, the journey from winning Reimagine Retail to launching his e-commerce program has been a great benefit for his company. 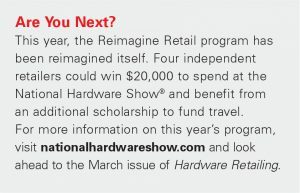 As the 2019 Reimagine Retail program kicks off, Woods encourages retailers to think big and capture new opportunities. Woods says he will eventually roll out the e-commerce program to all Woods Hardware locations. But he isn’t sitting idle; he is already thinking of other new ways his company can innovate in 2019. For now, Woods Hardware is exploring its new e-commerce innovation and examining its impact.